Hear every word clearly. Know where sounds come from. Choose what to focus on. Enjoy natural, effortless hearing. With ReSound ENZO², you can experience amplified, balanced sound that is crisp and clear in any environment. 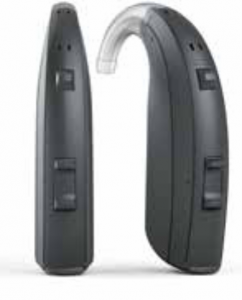 And, wearing the most powerful super power hearing aid device available, you will be able to enjoy more amplification without feedback than any hearing aid device you’ve used before. ReSound ENZO² features Spatial Sense™, developed to give you a vivid sense of where sounds come from. With it, you can focus on the sound you are interested in and still be aware of everything else around you. And when you are going from place to place, you can rely on your ReSound ENZO² hearing aid devices to keep up as they work together to automatically optimise what you hear, wherever you are.